Wheel spacers produced specifically to alleviate the problem associated with running factory Audi wheels with 10mm spacers. With a larger taper to the center bore of factory wheels standard wheel spacers with a lip will not properly center the wheel which leads to vibrations. 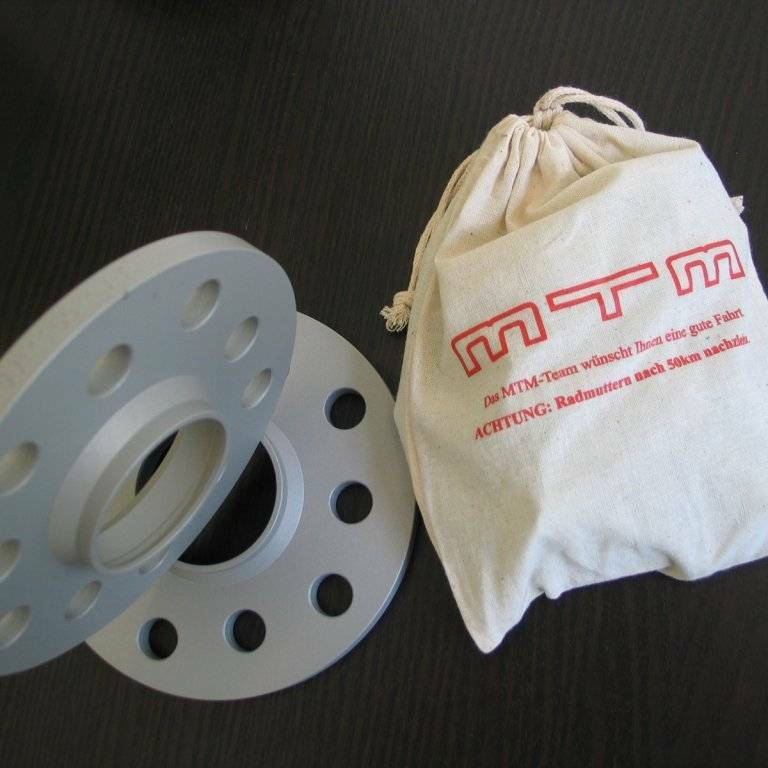 These wheels spacers were designed by MTM to center the factory wheels with the taper for a precise fitment to keep your wheels hubcentric and your ride vibration free. *Note spacers are for use with genuine Audi wheels only. *Note the spacer set is for one axle. Please order two sets for a complete vehicle front and rear.